Experience an island sanctuary with ocean-inspired treatments just minutes from downtown San Diego. Recapturing its inDELible spirit as a premiere health destination, Spa at The Del taps into the healing power of the sea with ocean-inspired treatments designed to reawaken all senses. Find you inner zen as you listen to the rhythmic waves of the Pacific. Invigorate with a Beach Spin class cooled by sea breezes. Retreat to a private terrace with its own vanishing-edge pool overlooking San Diego's Pacific coast. Or share a soothing side-by-side massage experience for two. Tucked away on Coronado Island just minutes from the city of San Diego’s hum, Spa at The Del is a coastal California sanctuary where the ocean leads the way to inner zen. 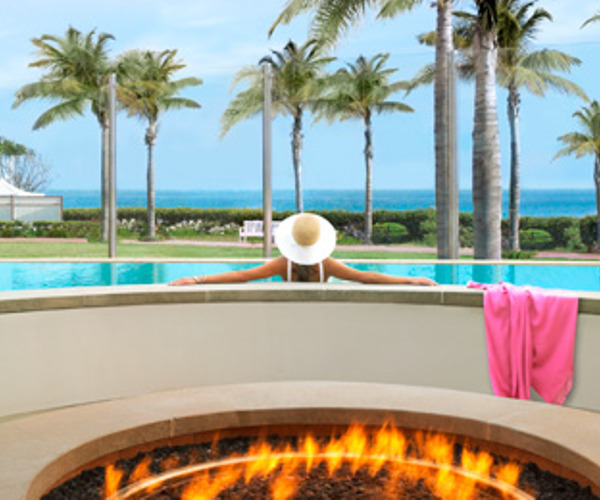 Spa at The Del has 21 treatment rooms, as well as a vanishing edge private pool and terrace overlooking the Pacific Ocean in an island sanctuary just minutes from downtown San Diego. A fitness center sits below the spa. The Del's treatments emphasize hydrotherapy and saltwater therapies, with offerings such as massage and body scrubs incorporating sea salt. The spa menu serves up a variety of massage modalities, facials, body scrubs, polishes, peels, wraps, mud masks, and seaweed treatments. It also provides options not often seen at other spas: The Back Facial places a mask across the entire back, hydrating and exfoliating supine skin, which is available alongside a customizable spray tan application. Bridal, couples, family and teen services are also provided. No other promotion can be combined when redeeming a Spafinder giftcard. Spa and Salon at The Del offers a unique wellness facility located on the edge of the Pacific Ocean. Guests of the Spa can enjoy complimentary poolside sound bathing as well as access to the Spa's jacuzzi and steam room with separate areas for women and men. Guests of Spa at The Del may also register for The Del’s popular Beach Spin or Mermaid Fitness at The Del for an additional $25. Reservations are strongly encouraged. When spending a day at The Del, guests can enjoy boogie boarding, paddle boarding, or take a surfing lesson. Bikers may want to rent a bike to explore the island or take a guided bike tour. Hotel del Coronado also offers unique culinary adventures overlooking the beach and offers boutique shopping at Shops at The Del. The iconic Hotel del Coronado is the world’s choice for creating inDELible moments and connections. This majestic oceanfront beach resort engages the senses and our storied personality captivates the imagination of global guests and San Diego locals alike. Situated on America’s most beloved beach, The Del is an iconic destination on every savvy traveler’s must-see list. Our ever-evolving transformation embodies the resort’s character agelessly, blending our legendary past with the relevance of a coastal Southern California lifestyle. With a charmed location, a blissful setting and historic architecture paired with modern touches, The Del creates memorable beach traditions for every generation. Seventeen unique shops under one roof with rare finds and nostalgic treasures – a shopping experience unparalleled in San Diego. 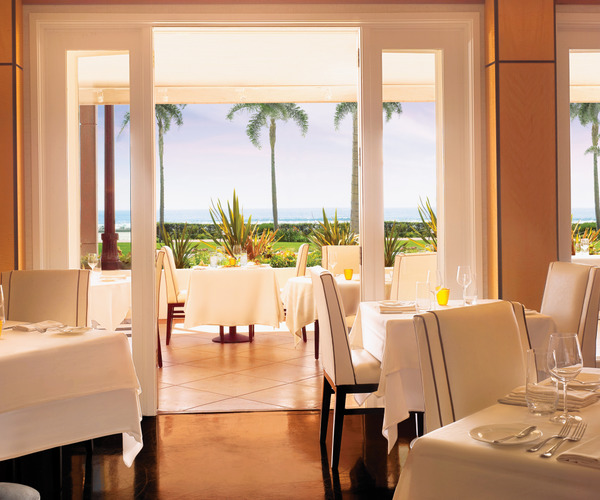 There are several outstanding options for dining at The Del. Inspired by its beachfront setting, Hotel del Coronado’s signature restaurant 1500 OCEAN spotlights California Coastal cuisine with fresh local ingredients. Relax on the umbrella-dotted patio overlooking the sea at Sheerwater. ENO is an artisan pizzeria and wine bar in an energetic setting reminiscent of a neighborhood wine bar. The Sundeck is a beachfront eatery offering tropical drinks and gourmet Mexican fare from the grill and no visit to the Del is complete without a visit to Babcock & Story. Named for the hotel’s visionary founders, this lively lounge serves up craft beer, classic cocktails and casual bites.